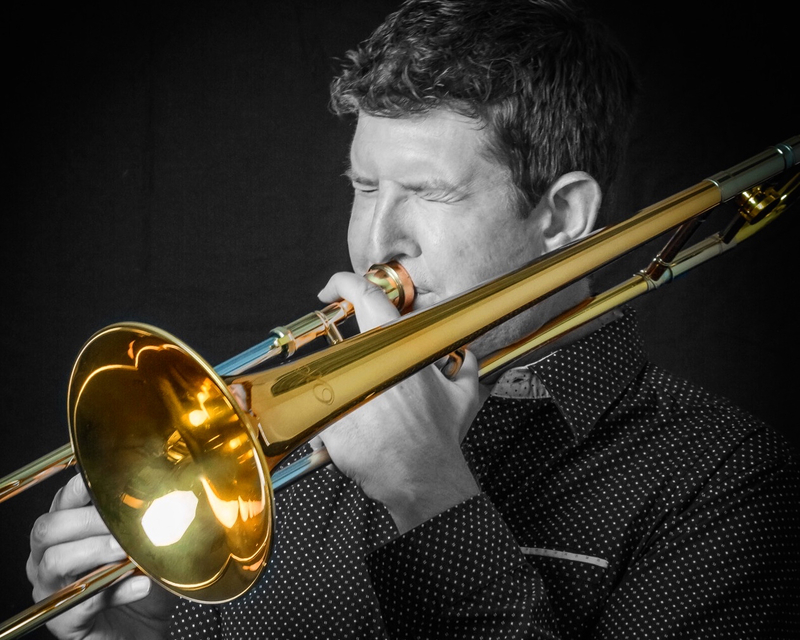 Darren Kramer has been a professional musician for over 30 years working as a full-time freelance trombonist, pianist, composer, arranger, producer, and educator throughout the globe. He achieved virtually every accolade as a trombonist while growing up in Colorado, including every possible All-State group – grades 9-12 – and the prestigious McDonald’s All-American High School Jazz Band with which he did three exclusive tours to Honolulu, Chicago/Boston, and the Jerry Lewis Telethon in Las Vegas to end his senior year. 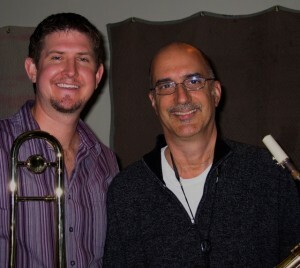 Kramer then attended the University of Miami and freelanced with south Florida salsa bands, plus a summer in Orlando for the 1990 Walt Disney World All-American Collegiate Orchestra. He has also lived and worked extensively in Las Vegas, NYC and Denver, interspersed with several cruise ship contracts to exotic locales such as Asia, Australia, Mediterranean Sea and the Caribbean. He has toured internationally with Rob Thomas rock band Matchbox Twenty, superstar Tom Jones, the legendary Tommy Dorsey Orchestra, as well as Duke Ellington’s Sophisticated Ladies Broadway Tour directed by Mercer Ellington. Kramer has performed with dozens of celebrities and has appeared on The Tonight Show with Jay Leno, The Late Show with David Letterman and VH-1 Storytellers. Kramer is an XO Trombone Professional Brass Artist and founded his own music company in 1998 – DKO The Darren Kramer Organization – whose inspiring concerts, educational clinics, exceptional recordings, and numerous sheet music arrangements have helped modernize the trombone and expand its role in contemporary music. 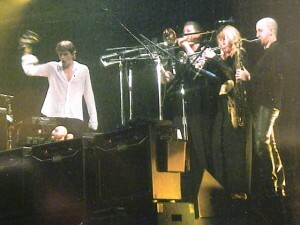 His DKO CDs feature varied artists such as Michael Brecker, Eric Marienthal, Rick Margitza, Jerry Hey and Gary Willis. In addition, Kramer has now created a new niche for himself as an Electric Trombone DJ – DJ DKO – and his latest project Beyond The Boneyard is a groundbreaking CD and live performance cutting-edge innovation that pushes the boundaries of the typical trombone stereotype and that of the traditional DJ. Kramer is an Ableton Certified Trainer and is focused on embracing their latest technology for his solo DJ DKO project by incorporating the Ableton Push controller into his setup and using Ableton Link for wireless connectivity during his show. His technical proficiency is also clearly evident as co-founder and CEO of TheGigEasy, a company he started and ran from 2010-16 in order to simplify the transition to tablet computers for musicians by providing complete music solutions for iPad, including hardware iPad mounts and a pdf music reader app. Now in 2016, as Kramer predicts the subscription streaming service model to be the new education paradigm, he has added DKO Lessons to his DKO brand in order to share his vast knowledge of trombone, jazz & music technology with musicians worldwide. Hear, Meet or Work with Darren LIVE in person! • Hundreds of schools and jazz festivals in USA including Reno, UNC/Greeley, Lionel Hampton, etc.